Open Hands Garden is ready & anxious to launch into it’s fifth season. The garden is part of Open Hands Food Pantry the largest pantry in Oakland County serving nearly 12000 food insecure county residents in 2018. The garden's primary purpose is to provide fresh produce for food pantry guests. The exciting news for 2019 is that the garden will expand to include a 400 sq ft hoop house allowing growing operations for 10 months or more. 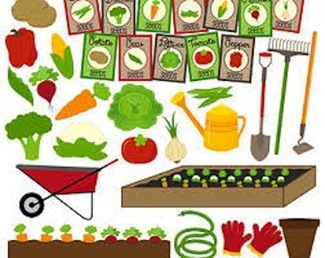 For 2019, volunteer help will be needed on Thursday evenings (6:30 - 8:00pm) and Saturday mornings (9:00 - 10:30am) to harvest, wash and pack produce for distribution at the pantry. The garden has been providing 300 - 400lbs of fresh, nutritious produce annually with hopes to at least double this quantity with the expansion. Hunger is real in Oakland County and the pantry is here to address the need. No experience required. A garden leader will be there to assist and direct activities which may also include weeding, irrigating and planting. This is a great opportunity to learn or enhance your gardening skills while helping to feed your Oakland County neighbors in need. Also a fun family activity. As you sign up, please add a comment telling us how you heard about Open Hands Garden. If you're on Facebook, we encourage you to "check in" when you arrive at the garden to help us share our story.